Autonomous Suitcase is designed to follow you wherever you go. As lazy people we don't like to do many things, especially pulling suitcases. 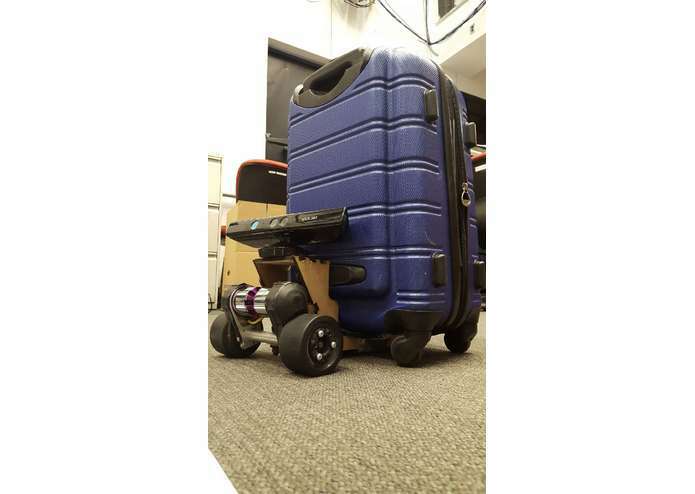 To combat this, we have created Autonomous Suitcase! Autonomous Suitcase is a machine that tracks you and follows you around wherever you go. It is designed to fit a suitcase or carry-on luggage, allowing you to move around places like the airport hands-free. We first CAD-ed the frame that the suitcase would be resting on. 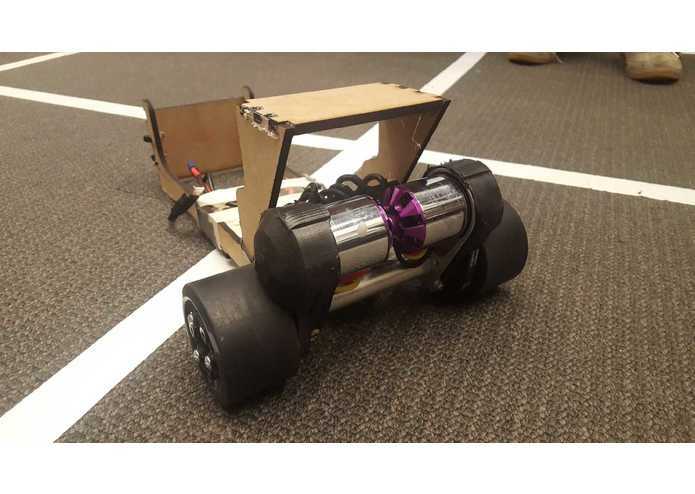 Afterwards, we explored existing Kinect motion tracking code and combined our findings with ROS python packages so the wheels mounted on the frame would move in the same direction and angular velocity as the person being tracked. The speed controllers blew up, so we had to find new ESCs for our project to work. We also had some trouble in finding space for all of the electronics. 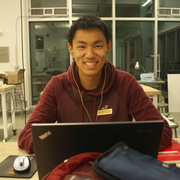 On top of using CAD and a laser cutter to create the main frame of Autonomous Suitcase, we are most proud of integrating all of the software into our project. We learned how to implement ROS to change the tracking information from the Kinect to usable data for our motors. In addition, we also derived kinematic equations for the suitcase. In the future, airports will be equipped with Autonomous Suitcase. People will be able to put their luggage onto it and walk around like their luggage is a pet. Developed software in Python using ROS and managed electronics for the robot.